With an icy breeze and sleet blowing around the vast exhibitions buildings at the Porte de Versailles in Paris, visitors to this year’s Retromobile could only dream of the warm summer sunshine, still far too many months away. However, inside the warm exhibition halls, were a couple of welcome rays of sunshine to be admired and inspire us for those coming balmy days lazing on the beach. Pininfarina’s pleasing two-tone prototype Giovani, based around the perky little Autobianchi A112 and now part of the Lopresto collection, is a rarely seen treat. Resplendent in its original bright two-tone orange and white, coachwork, Pininfarina designed this two-seater targa-top buggy in 1971 to appeal to a youthful market in the hope that Autobianchi’s parent company – Fiat – would commission the famous Turin-based design house to build more examples of the car. Sadly this didn’t happen, making this Giovani unique. On the other side of the main Retromobile hall, the huge Citroën stand also contains a rare sunny delight, albeit less frivolous than the Pininfarina Autobianchi. 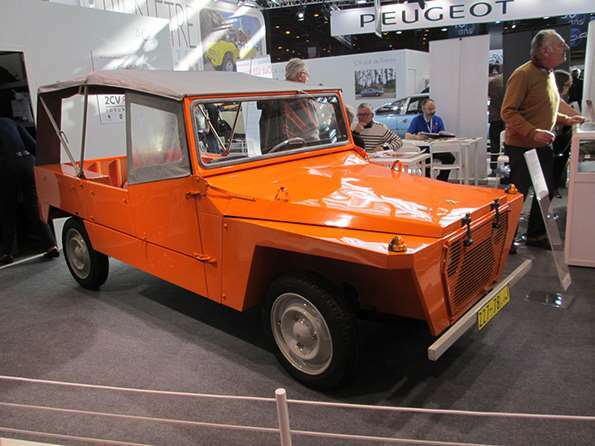 Called the Baby Brousse, and also clad in vivid ’70s orange paintwork, this utilitarian machine was the first product of Citroen’s FAF project from the early 1970s. Intended to help get developing countries on the road, FAF stood for Facile a Fabrique, Facile a Finance (easy to make; easy to finance). Different FAF models were built around the world, from the Dalat in Vietnam to the Namco Pony in Greece. 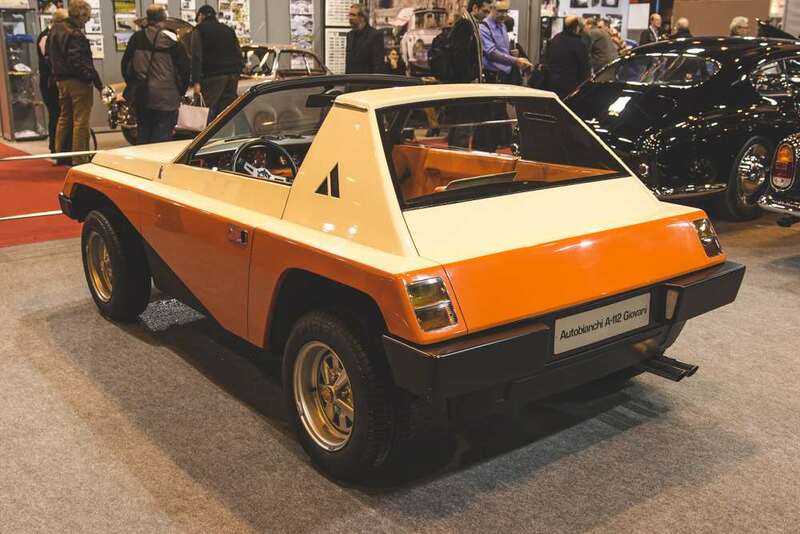 This Baby Brousse was the most prolific of the FAF ‘jeeps’ though, being made as far a field as Iran and the Ivory Coast, where this example was assembled from a CKD knock-down-kit in 1979. Not a thing of beauty perhaps, but ideal for those long hot summer days to come.